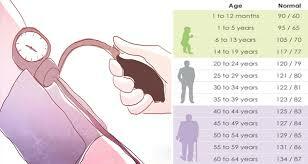 Home age blood pressure health health news useful WHAT IS THE NORMAL BLOOD PRESSURE FOR YOUR AGE? Hypertension or high pressure is one of the most common health problems, affecting a great number of people. In most cases, there are no particular symptoms for this condition, but however, some people can experience headaches, vomiting, dizziness, short breaths, blurry vision and nausea. If you do not treat hypertension on time, it can result in more serious health issues including memory loss, heart attack, heart issues, stroke, atherosclerosis, and kidney damage.